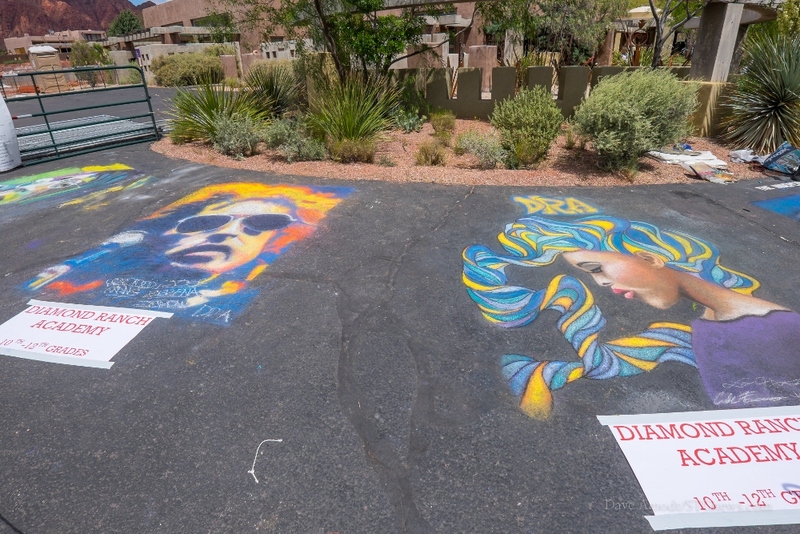 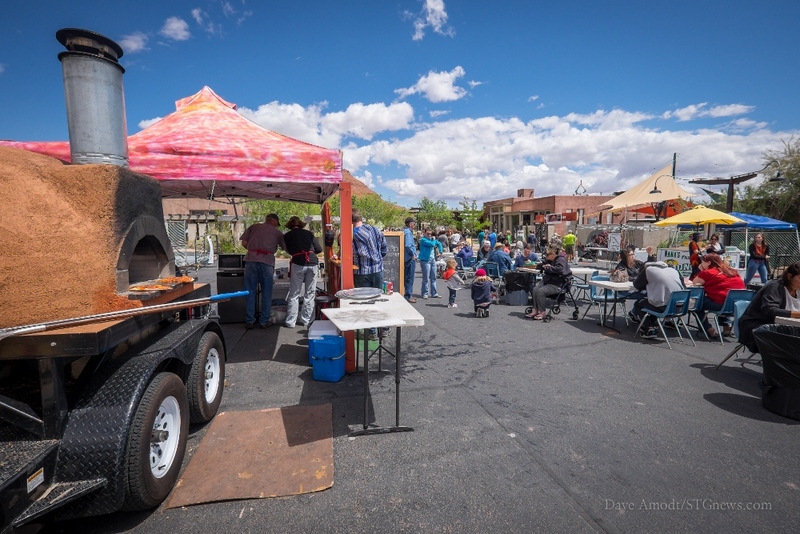 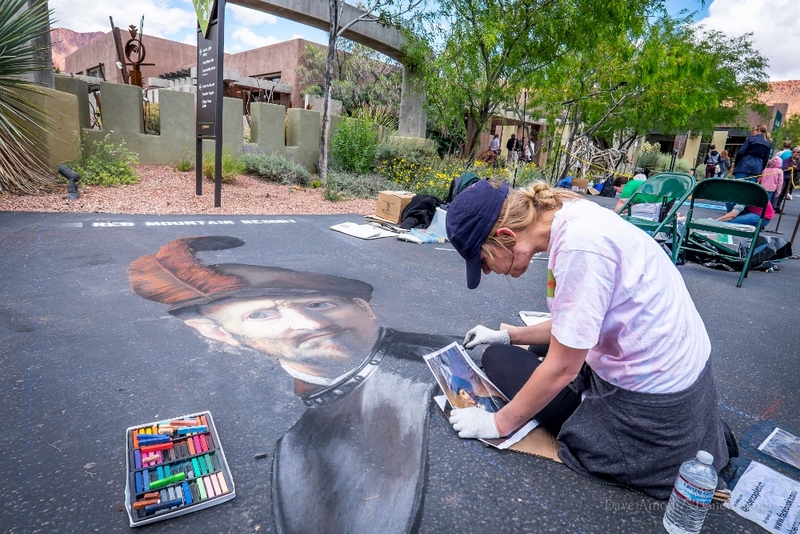 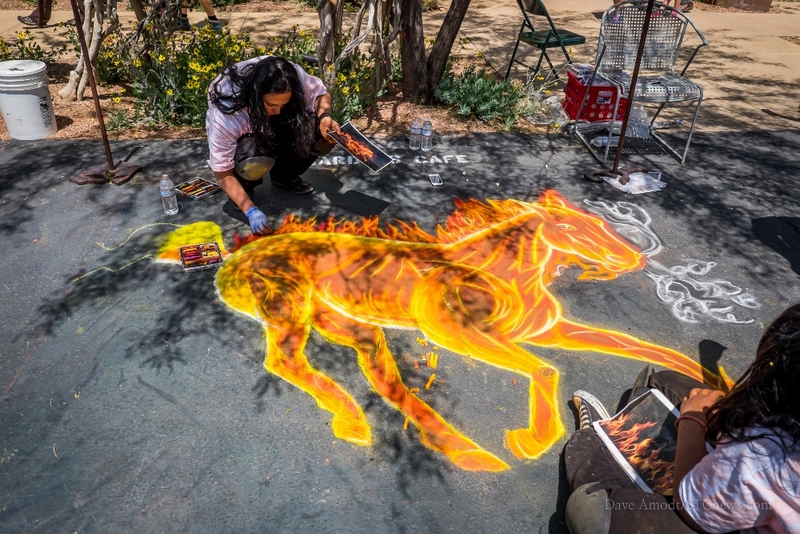 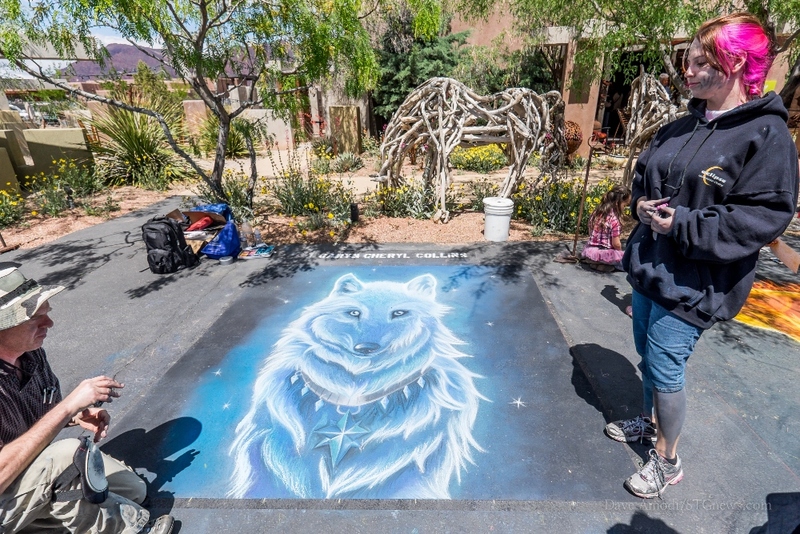 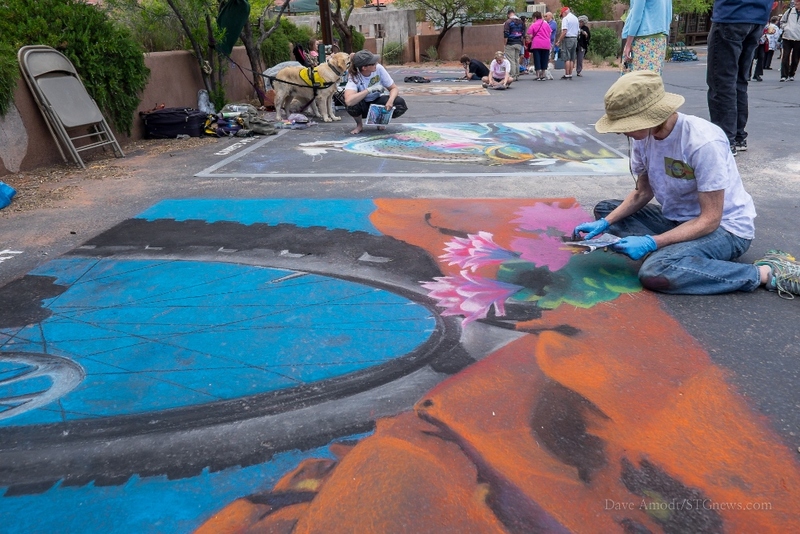 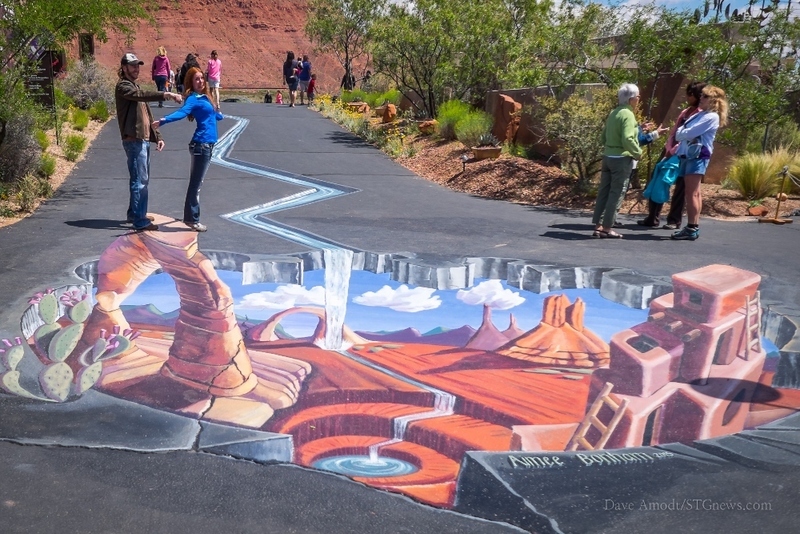 IVINS – The fifth annual Kayenta Street Painting Festival at the Kayenta Art Village in Ivins got off to a rocky start as windy and rainy weather Saturday made it difficult if not impossible for artists to work on their al fresco designs. 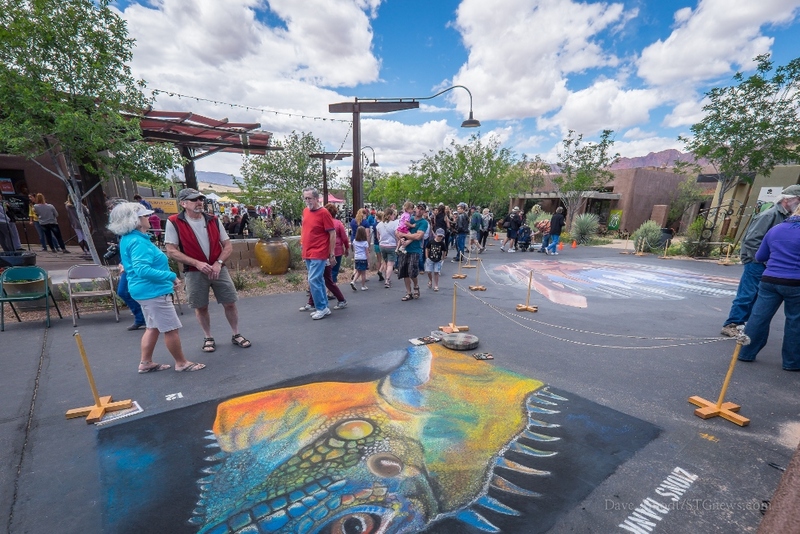 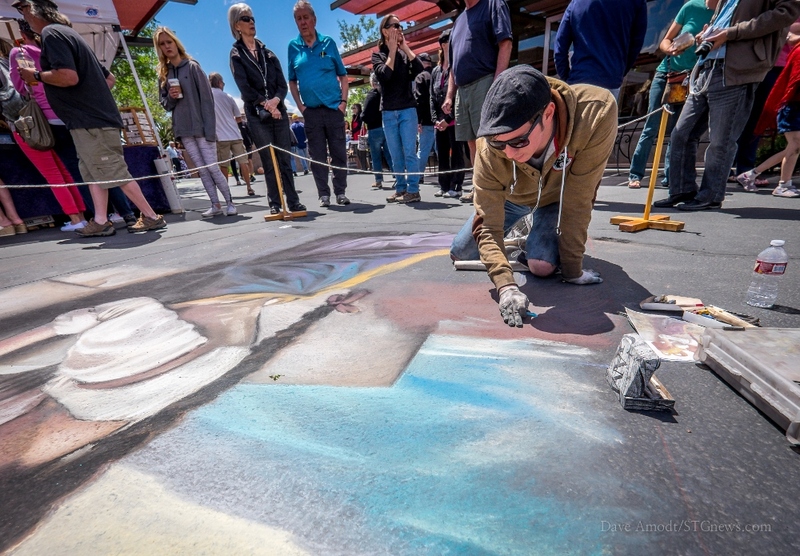 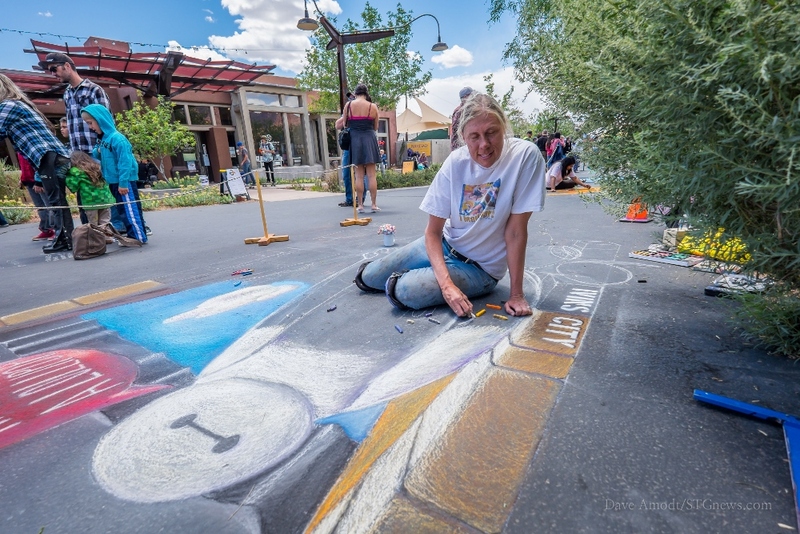 However, warmer weather prevailed on Sunday, and the streets of the art village were transformed with colorful murals created in chalk. 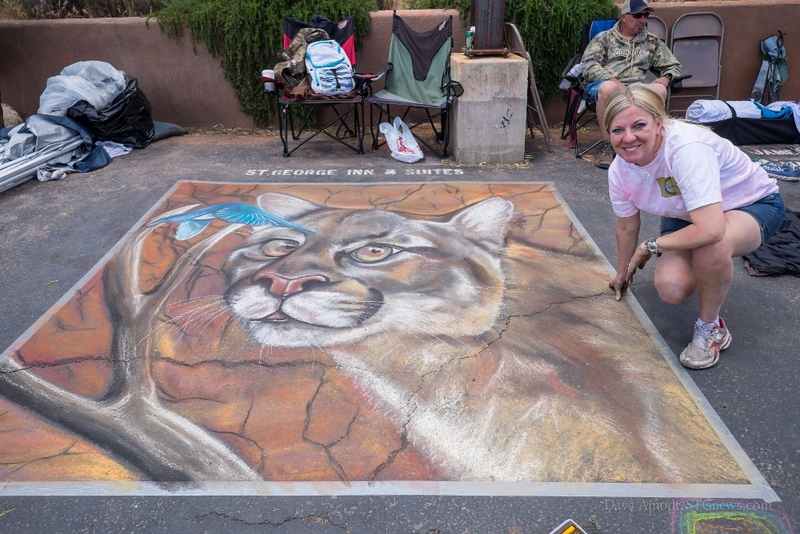 Founded by artist Aimee Bonham and organized and sponsored by the Kayenta Arts Foundation, this year’s festival featured 18 professional and semiprofessional artists as well as 12 school teams, Judith Kapuscinki, chair of the arts foundation board of directors, said. 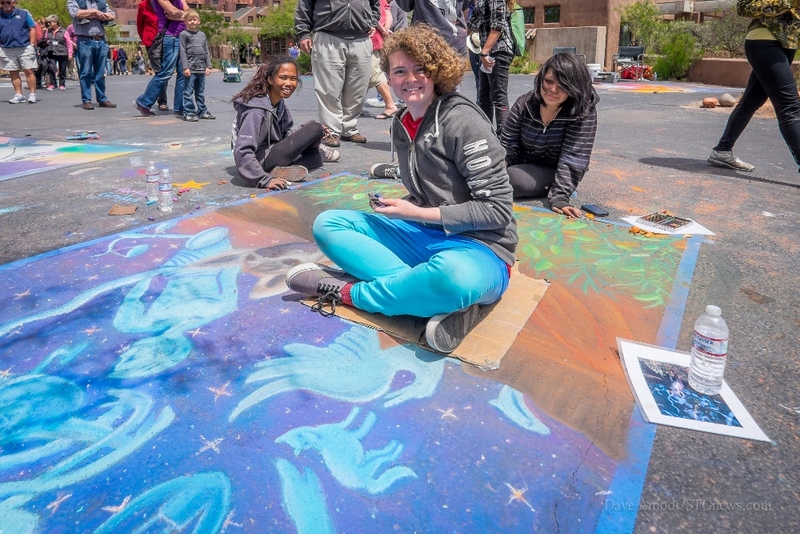 Rain washed out several of the high school teams’ work, Kapuscinski said, so this year, instead of awarding prizes for the top three, each high school team that participated received a trophy for their efforts despite the weather. 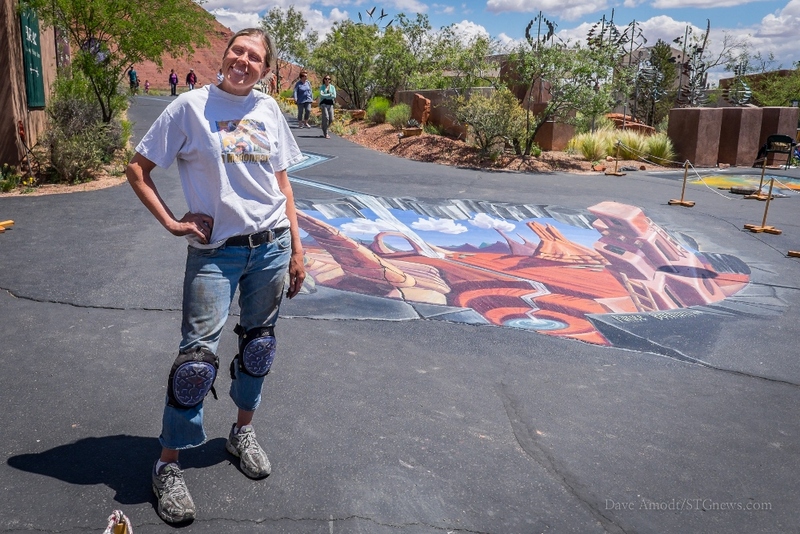 One of the highlights of the festival was a three-dimensional piece with a southwest design featuring Utah’s famous Delicate Arch which was commissioned as a permanent piece and created by Bonham. 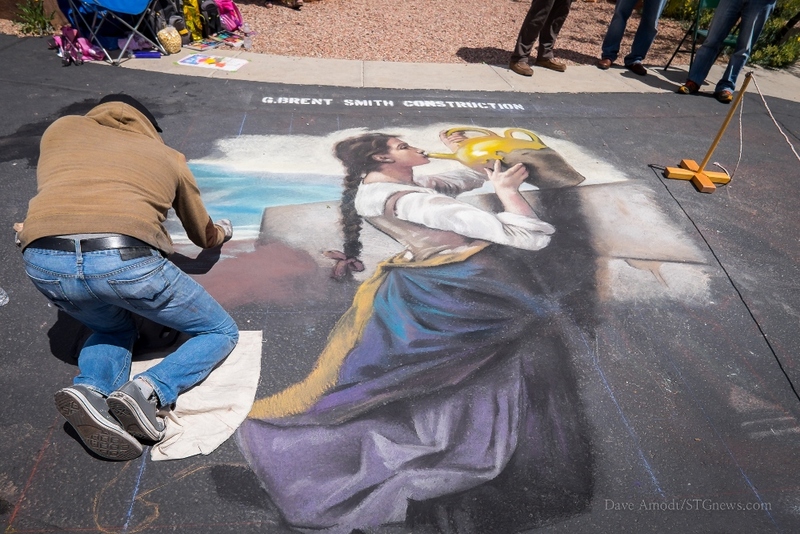 Overall the painting, which was started on March 18, Bonham said, took about 140 hours of work to complete. 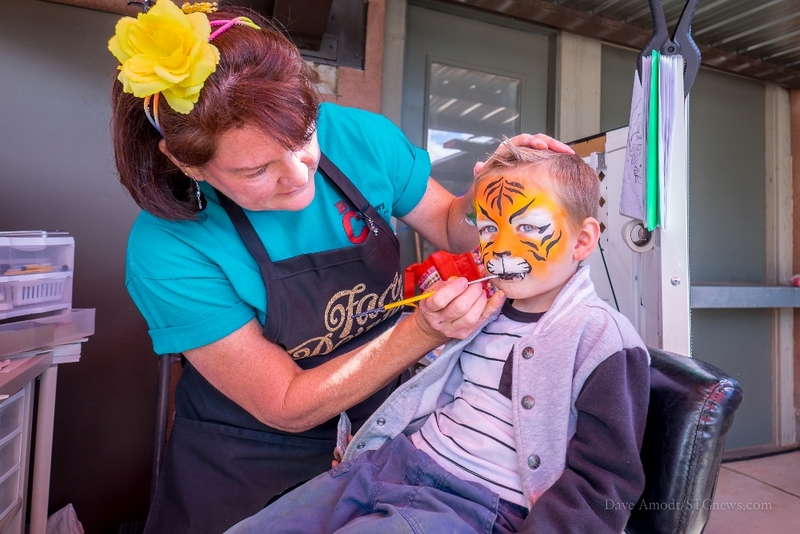 Other festival highlights included live entertainment, food vendors and a children’s art area. 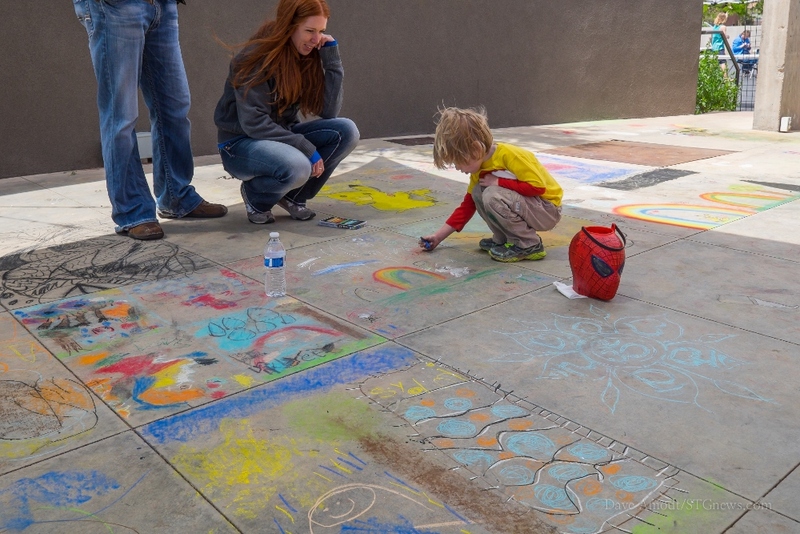 For $5, children received a box of chalk and their own square to create an original art work, which when viewed together, created a mosaic of children’s art.